Want to do some summer upgrades on your home but feeling a little cramped by your budget? Here are some ideas for easy fixes around the house that won’t break the bank. Replacing old or mismatched hardware in a kitchen or bathroom can instantly pull the room together. Choose a style that compliments the existing room or is versatile enough that it can be included with future renovations. You may not be able to renovate your entire shower, but a new shower head can make a world’s difference. A new shower head can make even the oldest of showers feel brand new. If you upgrade the shower head, make sure it matches the faucet and vice versa. Painting is one the quickest ways to bring new life to a room. 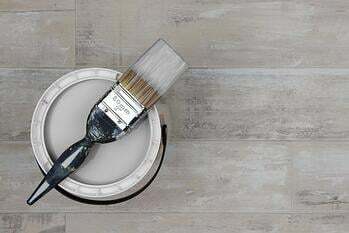 The average gallon of paint can cost anywhere from $15 to $30 and covers about 400 square feet of wall. There are paint options that include primer and top coat in one easy step, saving you time and even more money. If your front yard is a little lacking but you don't have time to keep a garden, try planting a tree. Make sure to do some research on how large the tree will be and the potential effects it will have on the rest of the yard. If the light fixtures in your home have been there longer than you have, you may want to consideration a little updating. Simple flushmount fixtures can be found for relatively little money. Also, use this opportunity to change out any dead light bulbs. You'll be shocked at the difference a little more light can make in a room. If you need a little extra cash for a bigger project, try a home equity line of credit. Similar to a credit card, you borrow money as you need it, using the equity in your home. These loans usually feature lower interest rates compared to traditional loans. If you are interested in learning more about HELOCs, check out our website or contact a home loan advisor at 801-260-7600 ext. 5340.